Even though America was not a known nation at the time this prophecy was issued, it exists as a superpower country today. Presuming that the USA still exists in the biblical end times, which many prophecy teachers are convinced is happening now, then there are strong reasons to conclude that many of these refugees will make their way to America and possibly soon. Bible prophecy predicts that Iran faces double trouble in the end times. These foretellings are found in Jeremiah 49:34-39 addressing ancient Elam and Ezekiel 38:5 concerning Persia. 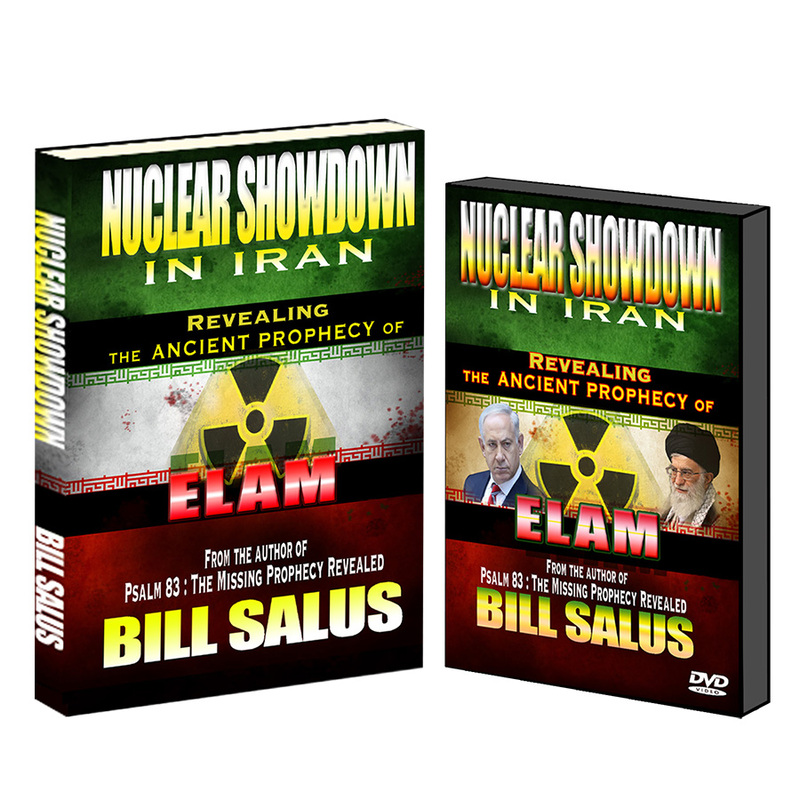 In my book entitled, Nuclear Showdown in Iran, Revealing the Ancient Prophecy of Elam, I point out that these are two distinctly different prophecies. Jeremiah issued his prophecy of Elam around 596 BC and about a decade or two later, Ezekiel penned his predictions about Persia. The map of Iran in this article identifies the location of these former territories. There once was a time around the 6th century BC, when Elam and Persia, renamed Iran in 1935 AD, were in good standing with the Lord. This former period was when King Cyrus the Great ruled over the dominant Persian Empire. Ezra 1:3 informs that King Cyrus recognized that, “The Lord God of Israel (He is God).” Cyrus was a believer, but according to Jeremiah the leaders presiding over Iran in the latter years will not be of the same spiritual mindset. Below is a summary of the details of the Jeremiah 49:34-39 prophecy. Jeremiah 49:34-37 presents bad news for Iranians, but Jeremiah 49:38-39 offers them good news. The Lord says that He will perform the nine following events. In a nutshell, Jeremiah predicts that in the end times, the leadership of Iran will fiercely anger the Lord. Since these are the latter days, then that likely alludes to the present rogue Islamic regime. The Lord is angry because these leaders want to launch something lethal somewhere. The Lord prevents this from happening by incapacitating Iran’s missile launching capabilities and He specifically aims to destroy the chief place of Iran’s might, which likely alludes to its rapidly developing nuclear program. Iran launched many missiles into Iraq between 1980-1988 and the Lord did not prevent this, so it must be a different country that the Lord is attempting to protect, presumably Israel. The present leaders of Iran have publicly stated their intentions to wipe Israel off of the map, which is an event that the Lord will absolutely not allow! 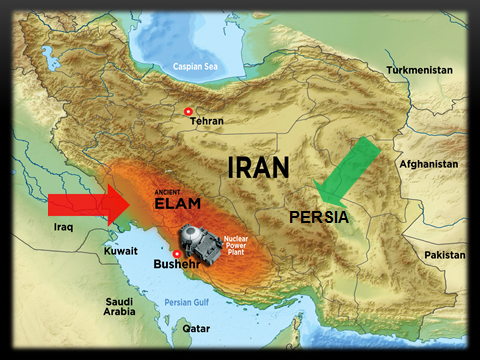 This destruction upon Iran occurs in the ancient territory of Elam as shown on the map and it causes a catastrophe! This is the location of the Bushehr nuclear facility, which is loaded with Russian made nuclear fuel rods. It is a nuclear disaster waiting to happen. The Bushehr project was launched in 1975 under the Shah’s government, but it came to an abrupt halt after the Islamic revolution of 1979 because German manufacturers withdrew from the project. In the 1980’s Iran attempted to finish the job, but were unable to do so. This ultimately led to Iran’s contracting with Russia’s nuclear construction company Atomstroyexport in the 1990s. The first phase of the project, named Bushehr-1 became operational in May 2011. The Bushehr nuclear plant sits atop three tectonic plates making it vulnerable to seismic activity. There was a 6.3 earthquake in the province of Bushehr on April 9, 2013 that killed 37 and injured 850 people. This quake prompted Russian scientists to promptly visit the facility to inspect their nuclear fuel rods. Additionally, in the immediate aftermath of the 2013 quake, the Gulf Cooperative Council (GCC), consisting of Saudi Arabia, Kuwait, Oman, Qatar, U.A.E. and Bahrain, conducted a study to analyze the potential risks that their respective Arab countries could face if a nuclear disaster occurred at the Bushehr facility. These countries are located directly across the Persian Gulf from Iran. Their findings from this study presented below were quite telling. Meanwhile, in October 2017, Russia began building the Bushehr-2 nuclear power plant in Iran and has contracts to build several, perhaps up to eight, more nuclear facilities within Iran. The predicted disaster in Iran occurs at a time during the latter days when Iran has an assortment of enemies, which is the case today. Israel, America and some of the Sunni Arab states like Saudi Arabia to name a few. All of the above, results in an apparent humanitarian crisis, because Iranian exiles are forced to flee worldwide, which brings us back to the theme of this article. Is America about to be flooded with Iranian refugees and is the country ready to welcome them? What about the wall that is intended to prevent illegal immigration that is proposed by President Trump? If this wall gets built, will this hinder the exodus of these Iranian exiles? Why would America be a likely destination of these exiles? The Bible predicted that at least two peoples would experience a worldwide diaspora that would be brought about by the Lord. These peoples are from Israel and Iran. Ezekiel 20:23, 36:19 and elsewhere, foretold of the dispersion of the Jewish people from Israel. Jeremiah 49:36 predicted the scattering of the Iranians. Like the Jewish example above, this is also the case presently with Iranians who fled the Islamic Revolution of Iran in 1979. When the Shah of Iran was deposed at that time, many Iranians fled into several different nations. This was not a fulfillment of Jeremiah 49:37, because this dispersion resulted from the Islamic takeover and not the disaster of the Lord. It’s only logical to think that when the refugees flood worldwide into the nations when Jeremiah’s Elam prophecy happens, that most of them would attempt to migrate to America. They have relatives here and America has a recent history of welcoming Iranians. Additionally, Iran possesses the fastest growing evangelical population in the world. According to an Operation World report, Iran is growing at a conversion to Christianity rate of about 19.6% annually. (4) Many Iranians are experiencing dreams, visions, healings, miracles and personal encounters from and with the Lord. This supernatural evangelism is resulting in many conversions from Islam to Christianity. This rise in evangelism is another potential reason that the fleeing Iranian exiles will desire to come to America for the freedom of worship that’s available. This is not a luxury presently available to them inside of Iran. Christians in Iran today are heavily persecuted and often imprisoned. Only time will tell, how America will be affected by the potential influx of these Iranian refugees. A border wall along Mexico, should it be built, will probably not hinder the Iranian migration into the US, because they will likely come by flight or ship across the Atlantic through the eastern portions of America. But, what will be our immigration policies at that time? Moreover, will America experience divine judgment for having turned away from God over the past six decades, including political efforts to manipulate Israel to trade portions of the Promised Land, prior to the coming of these Iranian refugees? 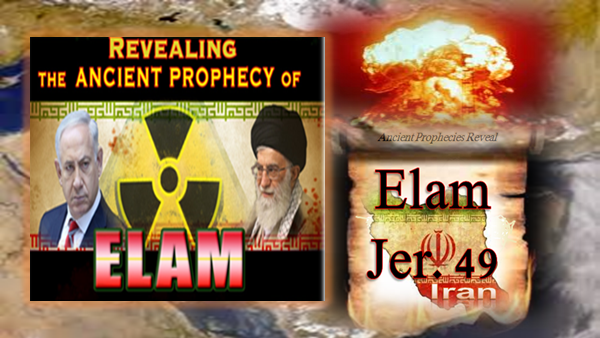 For more information about Jeremiah’s prophecy of Elam, pick up the book and DVD entitled, Nuclear Showdown in Iran, Revealing the Ancient Prophecy of Elam. In addition to exploring and explaining the details of the Elam prophecy in great depth, the book addresses the following important topics. 1. Why has Jeremiah’s Iran prophecy been vastly overlooked? 2. Was the Elam prophecy fulfilled, or partially fulfilled, in the past? 3. What are the clear evidences that this prophecy is related to Iran’s present nuclear program? 4. Are Jeremiah 49:34-39 and Ezekiel 38 the same prophecy? (Click HERE to read a related article). 5. Will the Elam prophecy precede Psalm 83 and Ezekiel 38? 6. When in the future will Jeremiah’s Elam prophecy find fulfillment? 7. What will Iran’s military stature be when it joins Turkey and Russia in Ezekiel 38? 8. How will America and the world be adversely affected when the prophecy happens? 9. Why is Iran experiencing the fastest growing evangelical population in the world? These are just a few of the timely topics presented in this book and DVD. Click HERE to buy your copies of these important prophetic products. WATCH THE NUCLEAR SHOWDOWN BOOK TRAILER BELOW.